The Institute of Advanced Motorists (IAM) has issued a series of tips to help drivers across the UK enjoy the coming festive season without the fear of danger when taking to the roads this Christmas and New Year. IAM director of standards Mark Lewis commented: "Enjoy the run-up to Christmas, but make sure you make it a safe one for yourself, your passengers and all other road users. So long as you reflect these tips in your driving, you can make the festive season a merry one." Avoid the temptation to be distracted by passengers enjoying some festive cheer. It is much better to stay calm at the wheel and to stay focused on the road for the safety of all. The more people there are in a vehicle, the faster the windows will steam up. As such, it is essential that all drivers know how to de-mist their car when travelling in colder temperatures. Keep a close eye out for pedestrians when driving after dark and in built-up areas. 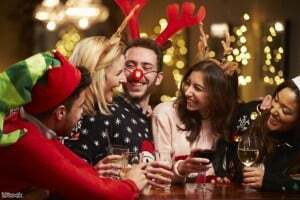 Many people will be leaving parties late at night and may be distracted themselves by their revelry, so it always pays to be alert. If you're the designated driver, always make a note of the address details of people you are dropping off before they have a drink. Drivers heading out after dark are more likely to feel tired behind the wheel. It is therefore important to be well-rested and alert before embarking on any journey when the nights have drawn in. Travellers heading out on the roads this festive season could do far worse than following the helpful advice of the IAM, as doing so will help all travellers to stay as safe as possible during the coming yuletide celebrations.